Simpson davits are manufactured Cooney Marine in the heart of the Midlands - renowned for their stainless steel craftsmanship. 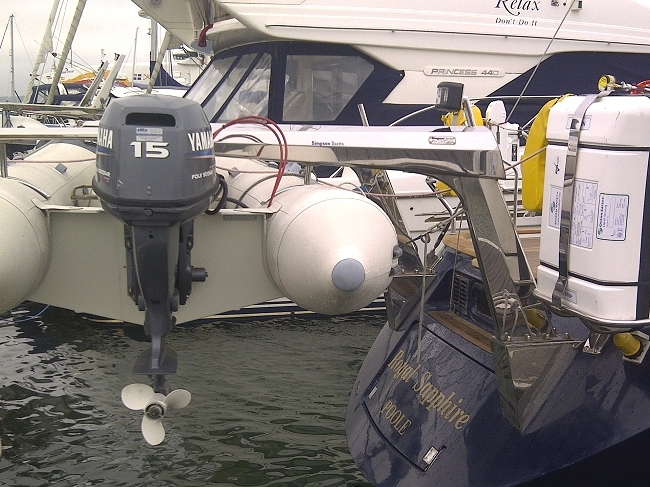 Cooney Simpson marine manufacture a full range of polished stainless steel yacht products comprising handy hoists, fixed davits, cranes, light weight swivelling davits and deck fittings to compliment your motor, sailing or superyacht. 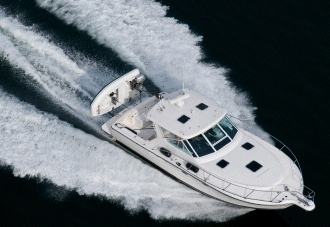 For coastal hopping to offshore passages everybody needs to get ashore when at anchor, so a good tender and handling system is essential. Cooney Simpson have a full range of davits to accommodate the lightest and largest of tenders, thus preventing the time consuming practice of setting up your tender and packing it away again. The simplest models start with the stainless steel tubular designs operated handraulically with a block and tackle arrangement. These units can be locked into position, swivelled athwart ships or removed and stowed away when not in use. When selecting your tender the first point is to calculate the total weight of the tender including your outboard engine, fuel and loose equipment plus a safety factor. Your davit needs to be adequately high enough out of the water to prevent being swamped by a following sea. 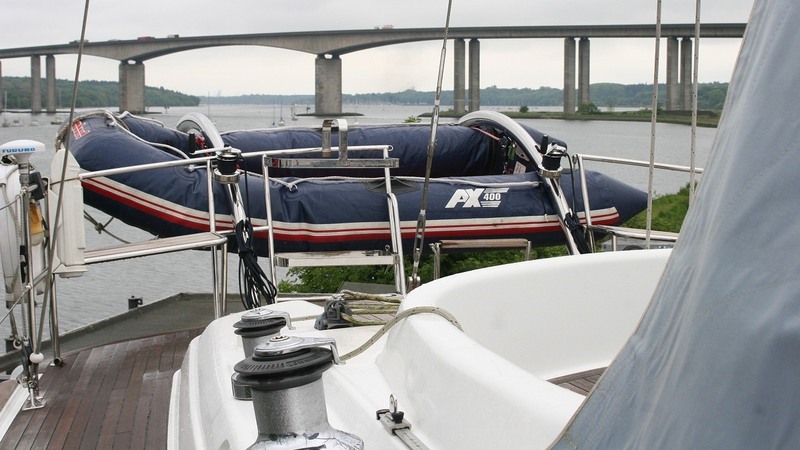 All Cooney Simpson davits are over-engineered to allow for the wind age and forces experienced when out at sea. 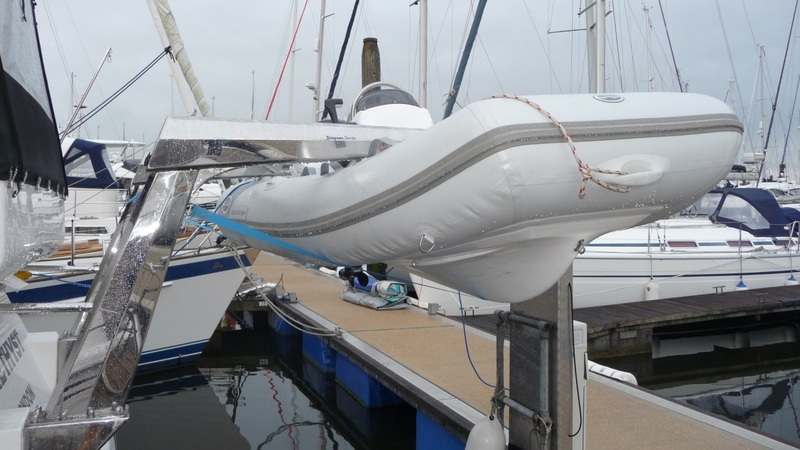 Transom areas are normally strong enough to accommodate a set of davits, however reinforcement and strengthening will be required to the internal structure to spread the loadings to the structure of the yacht. Oval 15zero davit – innovative DAME award winning davit that is able to pick up 150kgs at its tip and bring inboard to stow safely without damaging your bathing platform – ideal for raked transom types – sleek oval designed tube. Can be removed and rotated. These stainless steel davits can be deck mounted or transom mounted with brackets angled to suit your transom. The Simpson Series 8 and 10 davits are fixed davits with a more modern shape than the traditional model available from 150kgs to 300kgs manually and electrically operated. Available with wire rope or dyneema. 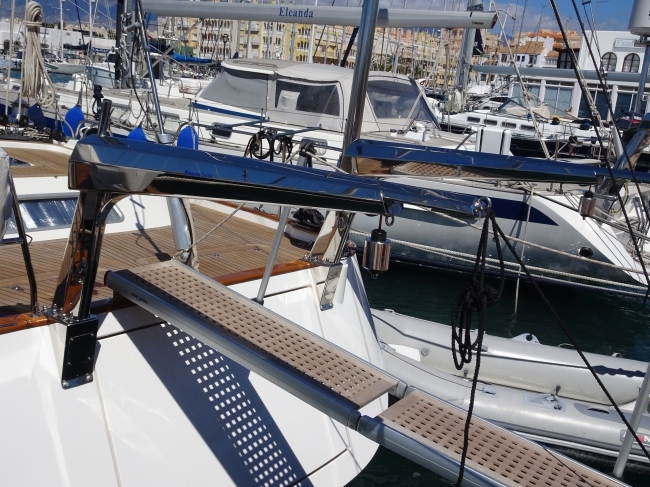 Adjustable extension arm that pulls out to steady the tender when held on the davit falls. The Simpson Series 10 Davit from Cooney Marine is seven sided - a structure with an improved look which retains all of the strength of the present design. The new model was conceived with electrification very much in mind and the power version has no external motor casing to detract from the streamlined shape. Power winches have historically been avoided on sailing yachts due to the battery capacity on board, but this unit is designed to keep current drain to a minimum and make the powered option a first choice especially as manual override is fitted as standard. The Series 10 Davit comes in standard, long reach and tall configurations (tall only available on S225/250 models) with lifting capacities from 150kg to 300kg per pair of davits (manual and electrical versions available). A white painted version is also available. Superyacht Doc also supplies Cooney Superyacht stainless steel fittings - a standard range of quality marine fittings manufactured from solid stainless steel plate including bollards, fairleads, cleats, oval cleats and tube, stanchion bases, staghorn cleats, teardrop fairleads & interscrews large and small. Davit acccessories are available including wire safety straps, bellyband straps, interlock blocks, ensign staffs, ensign sockets, navigation light brackets and radio remote controls. Larger davits are also available - please ask. 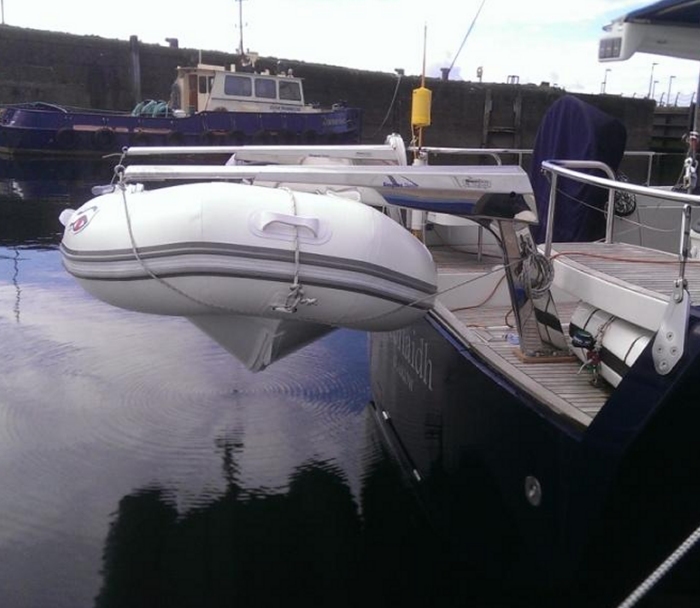 If you would like to send us a photo of your yacht, we will assist with your davit selection. 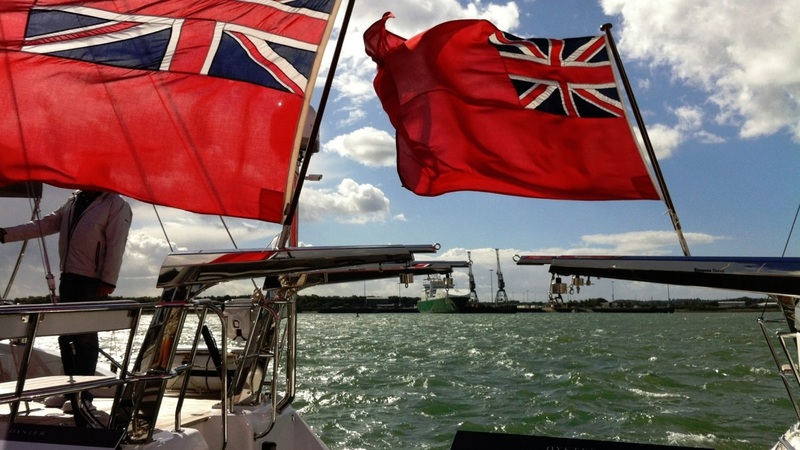 Oyster yachts flying the flag on two pairs of Simpson davits at the Southampton Boatshow.